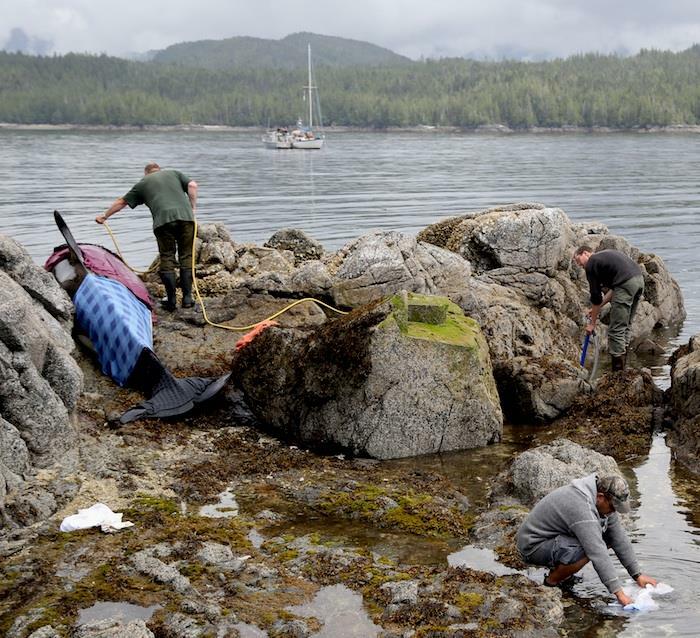 An orca that was stranded on some rocks was kept alive for eight hours by a dedicated team of whale researchers and volunteers on the North Coast of B.C. "She cried often, which tore at our hearts, but as the tide came up there were many cheers as this whale was finally free," said a Facebook post from the group The Cetacean Lab. Early Wednesday morning, the group received a call from a colleague about the beached orca, which was stuck on some rocks at low tide. "We decided the best thing to do would be to keep her cool, that meant to put water on her body and we used blankets and sheets," said Hermann Meuter, a co-founder of Cetacean Lab. "It was the only thing we could do." Meuter said they could see the orca's behaviour change as they began to help her. "At first she was stressed, you could see that her breathing was getting a little faster," said Meuter. But after about 15 to 20 minutes, she began to calm down. "I think she knew that we were there to help her," said Meuter. 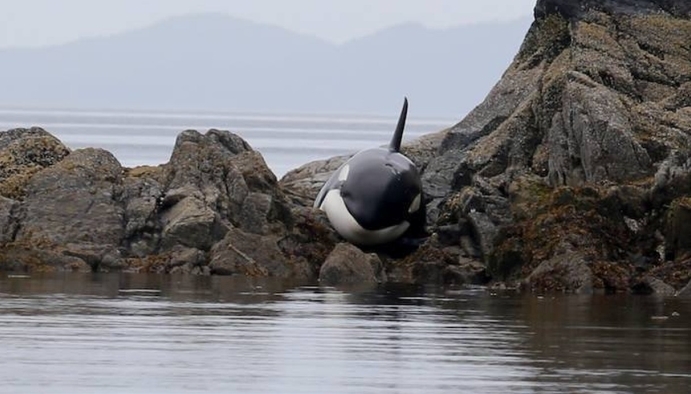 Around 4 p.m. PT, the tide began to rise and the orca was able to start freeing herself. 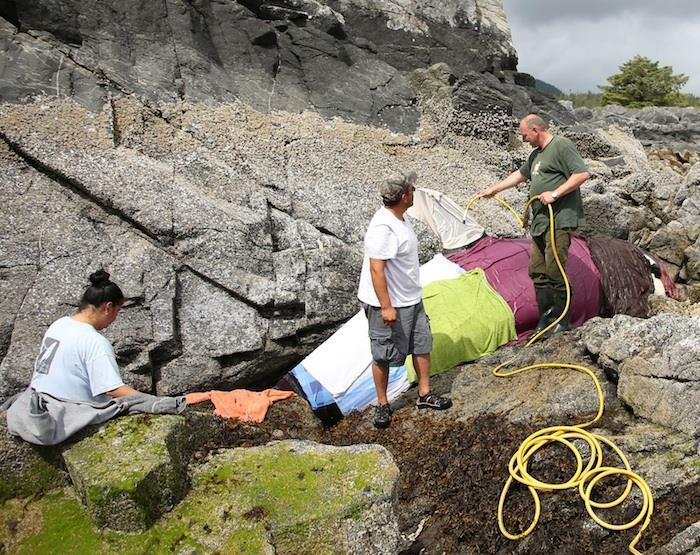 "It took her about 45 minutes to negotiate how best to get off the rocks," said Meuter. "We all just kept our distance at that point." 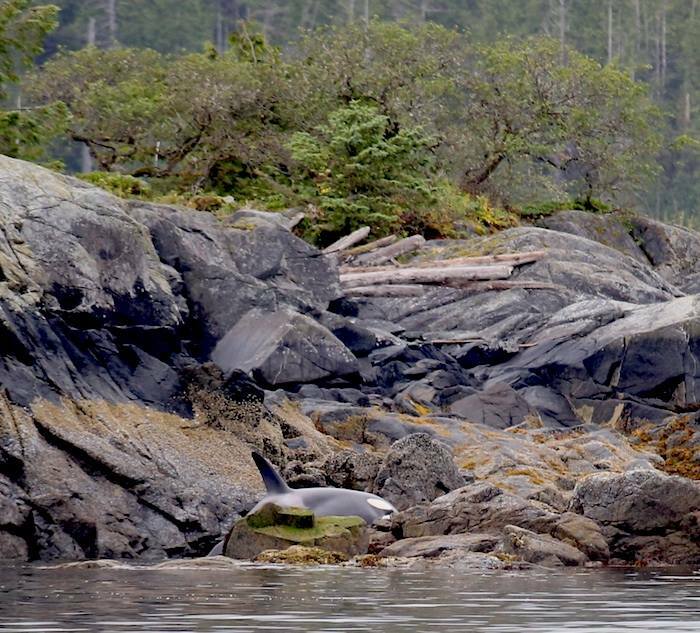 When she swam away, the orca was quickly reunited with her pod, which was nearby. Metuer said members of the World Wildlife Fund and the Git G'at Guardians from Hartley Bay were also on the scene helping to free the animal. "We all cared about this whale and we were just very lucky to give that whale another chance," said Meuter. Responses to "Stranded Orca Cries As Rescuers Try To Save Her"
Oh, thank you. These orcas are just so magnificent. Thank you, to all who helped save this beautiful animal. Thanks to all who helped, you are angels! You're amazing people!! Thank you!! Thank you for an amazing job and a caring heart. You can believe that she will remember you and what you did. They are not only beautiful creatures but also very intelligent. Thanks to all of you that helped!! Great job. Experience counts when it comes to wild animal rescues! Thank you for all the time you spent saving this beautiful creature <3 Blessings on you all! Thank you ever so much for your time and effort in saving this whale. You are wonderful creatures, who care for the earth and all that is in it. Thank you! Great job & wonderful humans caring for this Ora. So glad she was freed. all i can say is you guys are heroes !! !